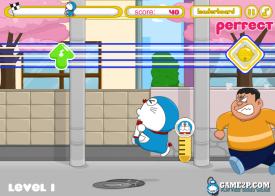 "A cute little platformer featuring Doraemon"
For fans of Doraemon I’m sure you will have a great time with Run Dora Run, however the bright colors and happy but repetitive soundtrack will probably be too much for some gamers. At the top of the screen you have a bar running across which you must hit the correct arrow keys in time to keep escaping Giant, the style is almost exactly the same of that as Guitar Hero but using the arrow keys rather than different colored buttons on a plastic guitar. 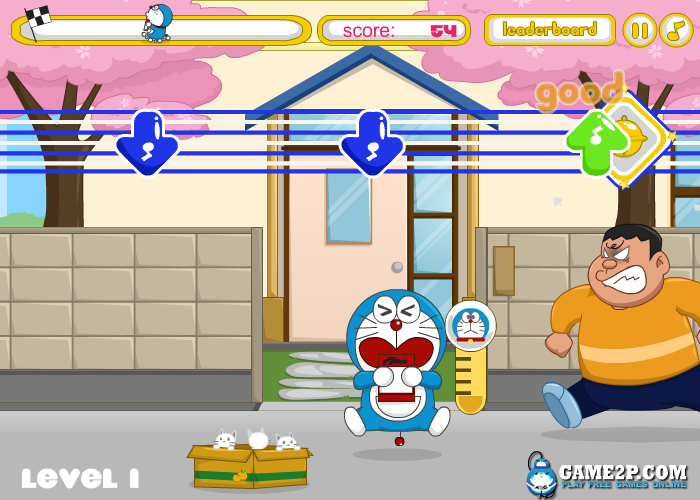 It is mindless fun for a few minutes but you may find you need to move back from the screen as the bright colors invade your eyes and you may want to turn down the volume as the music can become rather irritating after about 30 seconds. Clearly this game is aimed at the younger gamers with its vivid colors and happy soundtrack and it’s easy to pick up and play but after a while you may get a headache from it all. 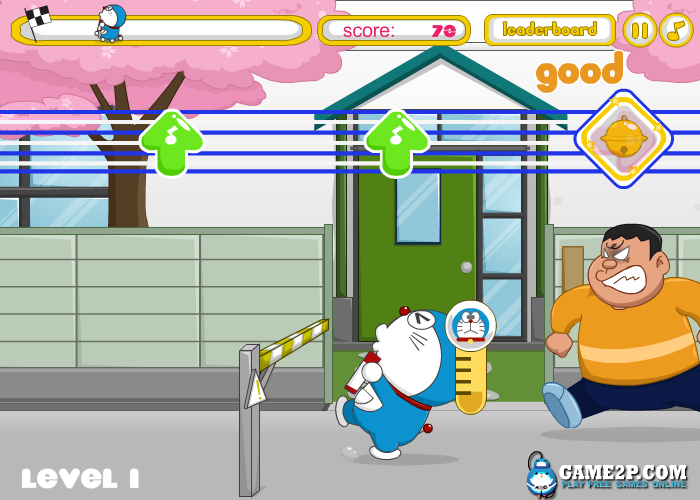 Another negative sadly is that while you concentrate on pressing the buttons it makes it difficult to actually watch what is happening in the cartoon with Doraemon and Giant below the arrow key instructions. 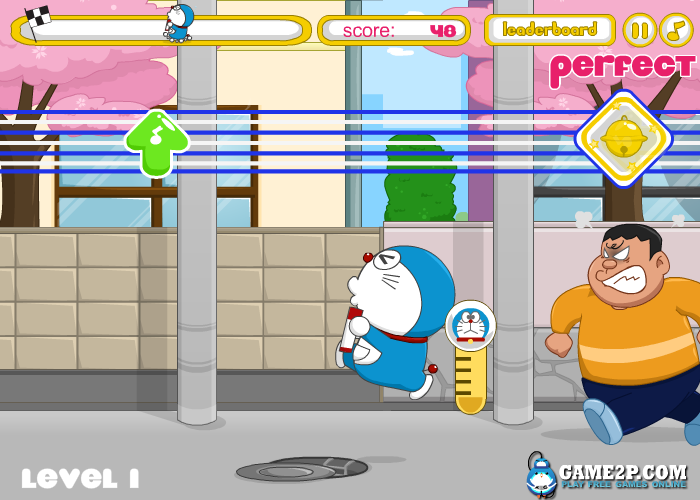 As a browser game its ok, there didn’t really seem to be any jump in difficulties between the levels and it really is one for young gamers and die hard Doraemon fans who I am sure will get a lot of enjoyment out of it. It’s also free to download (which can be done directly from this page) so there are definitely a couple of good things about it!